At LDI 2014, HARMAN’s Martin Professional introduced a range of LED Video solutions for dynamic lighting designs and exterior installations that include the Exterior PixLine family, the VDO Fenix 6, and the VDO Sceptron family. The VDO Fenix 6 is a touring-friendly outdoor LED video panel with 6 mm pixel pitch and full cross-rental compatibility. 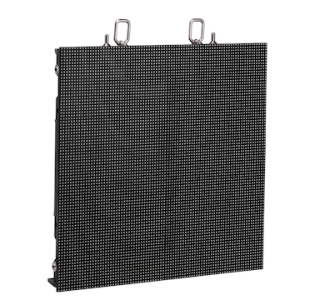 The frame eliminates the need to use an add-on touring frame and allows for fast and easy build-up of LED video walls. Easy to assemble and configure, set up of the VDO Fenix 6 requires just one person. The Fenix 6 is controlled by Martin’s P3 System Controller family, which also controls Martin’s creative LED video products, ensuring bright image quality in a variety of outdoor (and indoor) applications. Every Fenix 6 panel is calibrated to match Martin’s existing LED video panels, for integration with previous models. The VDO Sceptron family features linear outdoor-rated LED video fixtures with 10, 20, or 40 mm pixel pitch and an extensive range of field-exchangeable optical accessories that offer a wide variety of looks. Controlled by the Martin P3 System Controller family, VDO Sceptron fixtures boast simple configuration, mapping and setup. The Sceptron family is also backwards compatible with DMX for smaller setups. Integrated power and data cabling allows for long daisy-chains with many fixtures per cable-run, while the power supply can be located backstage (up to 50 m away) for a clean setup avoiding messy cabling and several driver boxes. Martin’s Exterior PixLine is a family of linear LED video fixtures for media-facades and creative installations. Featuring a rugged outdoor-rated design, a range of pixel pitches (10, 20, and 40mm), and fully customizable length and color capabilities, the Exterior PixLine ensures seamless integration with any design or application.